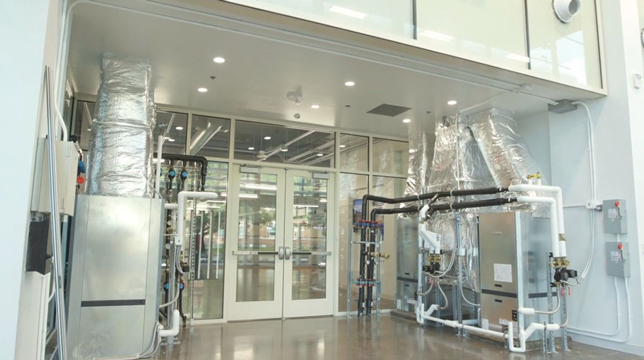 An Oklahoma university has opened the doors to a new facility that includes 23 engineering science and project labs, including four the size of basketball courts. Plus a two-story test space, the "Arena," will host student technology projects — autonomous vehicles, unmanned aircraft and robotics systems — and allow for industry demonstrations. 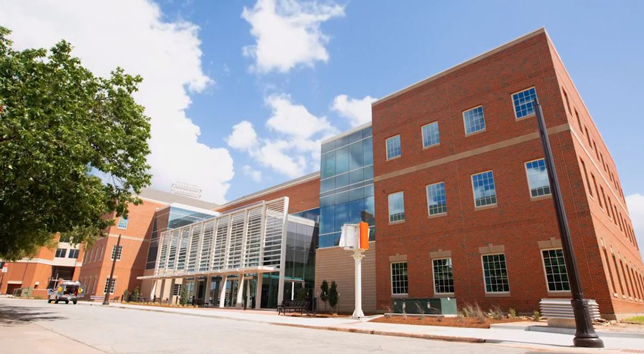 Described as a combination "makerspace" and "learning laboratory," Oklahoma State University's new Endeavor building is intended to help engineering, architecture and technology students gain interdisciplinary experience with hands-on learning that's aligned to industry needs. The new 72,000-square-foot structure houses OSU's College of Engineering, Architecture and Technology, although students from other disciplines will also be using the facility. The building cost $35 million to construct, half of that generated through donations from individuals as well as corporate partners in energy and aerospace. Sponsors have funded labs aligned with their business segments and are expected to provide company employees to mentor students and guide their entrepreneurial projects. 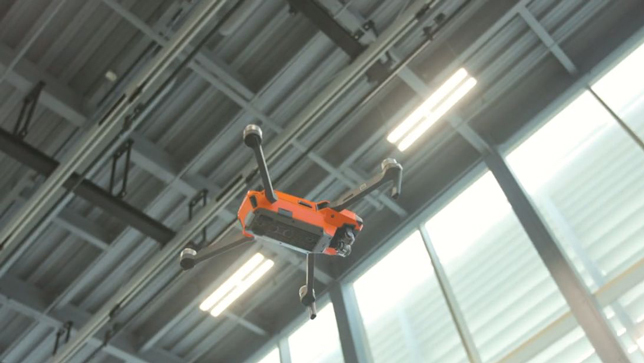 A two-story test space will host industry demonstrations as well as student technology projects, such as autonomous vehicles, unmanned aircraft and robotics systems. According to campus officials, the building has $5 million worth of "state-of-the-art equipment and instruments." Dedicated labs provide the gear and space for mechatronics, robotics, digital manufacturing, fluid and aero dynamics, thermodynamics, materials, sustainable building concepts, sensors and electronics, energy systems and radio frequency communications. The equipment is being made available to all students in the institution who are trained and certified to use it. Among the specialized equipment are vibrational isolated floors for specialized manufacturing and nano-engineering, a fluids lab, a wind tunnel, a large flume and professional-grade 3D printing machines. The site also generates its own power through geothermal, wind and solar energy. Among the labs in the Endeavor building is the Blair H. Stone Manufacturing Lab, which houses equipment for both additive and subtractive manufacturing processes, including advanced 3D printing of composites and metals. Students approve: The student council agreed to a $20-per-credit-hour boost in student fees to contribute to operations for the building, which will be open 24 hours a day. Now, said Colton Tubbs, a mechanical engineering student, in a video about the project, "I'll have more sections where I can get a hands-on feel for the concepts I'm learning in a class, in a lecture, and apply that to something in the physical world." Rylee Hunter, an industrial engineering and management student, marveled at the new lab dedicated to material sciences engineering. "Students get to be hands-on with it. They get to test the tensile strength. They get to pull the metals apart." Endeavor is powered by on-site geothermal energy along with solar and wind. The building's utilities are left exposed, to emphasize their structure and make them flexible enough to evolve with changes in technology. Rachel Epp, an architectural engineering student, said she considers the entire building "amazing": "Coming from an architectural engineering standpoint, from the inside, I really like it because it's really exposed, and you get to see the structure. You get to see the inner workings of the building." For example, the elevator components are visible, as are the plumbing and power systems. The building's design, including the placement of its utilities, "makes it adaptable, scalable and reconfigurable, able to evolve with changes in technology and industry-mentored design projects," university officials stated. "We tried to design a building that has the flexibility to continue to evolve with technology," said Randy Seitsinger, associate dean for the college, in the same video. "Technology's changing rapidly. We want the building to be adaptable to that. Every time somebody pokes their head in, it's a selling point for OSU."